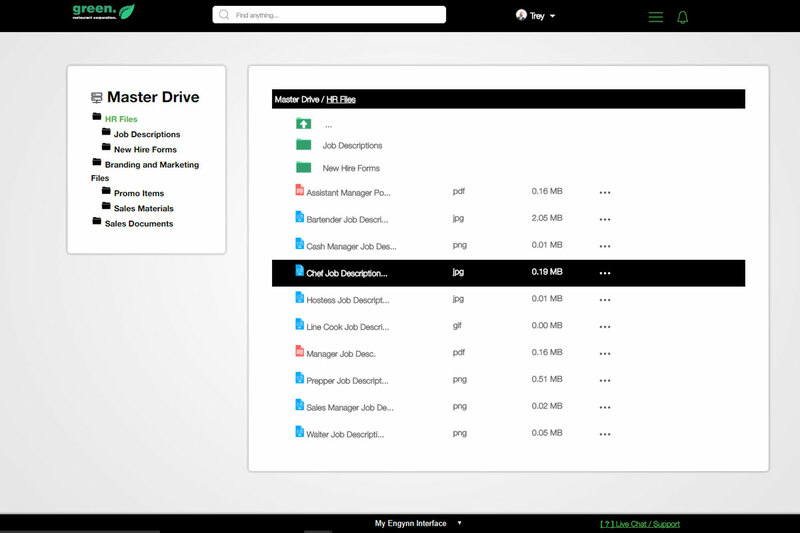 Upload files to Engynn Intranet’s proprietary doc cloud for users to access 24/7. You’ll be impressed with the intuitive design and lightning fast speeds. Your documents are encrypted and kept 100% secure. Access to our lightning fast content delivery service. Provide file access to all users, or restrict by user role, region, or location.